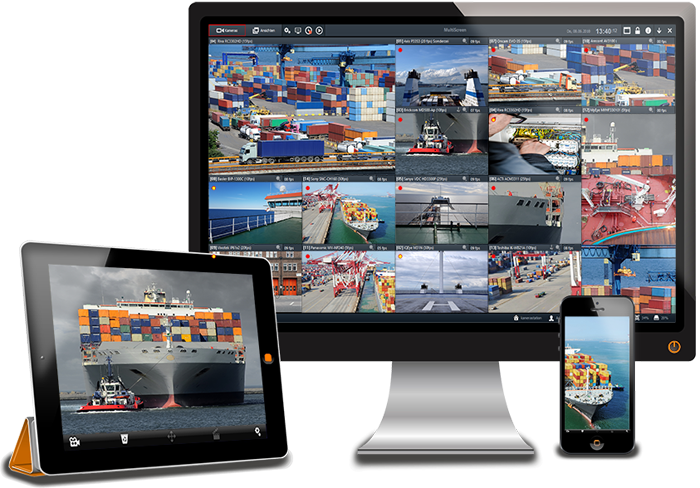 MULTIEYE NEXT is one of the most powerful and efficient video management systems on the market. The new software bundles a variety of state-of-the-art technologies. This includes professional video analysis with a selection of 24 different applications, support of GPU acceleration in the recorders, audio recording in HiFi quality, mobile clients (Android/iOS) with video conferencing function, encrypted transmission and recording as well as maximum reliability through cluster operation. For easy management, the video surveillance system always consists of three basic applications (administration, recording/analysis, live display), which interlock seamlessly and can be distributed to several servers in the enterprise version. Even large installations do not require any special software knowledge or skills. The customer operates the system locally via the intuitive user interface or via a remote connection. The system supports both multi-monitor operation and a fully automatic video wall display. The video management software contains a variety of functional components to create customized system solutions. User authorizations can be set via several access levels to ensure maximum data security. The entire system guarantees maximum reliability and data security through the use of back-up servers and end-to-end encryption.